Marking the sixth theatrical remake of a Disney classic, Tim Burton’s updated take on Dumbo stars Colin Farrell, Michael Keaton, Danny DeVito and Eva Green. But after being in development for around five years, is it poised to follow in the footsteps of the 2017’s Beauty and the Beast? The film follows the journeys of the Medici Brothers circus, owned by disgruntled owner Max Medici (Danny DeVito). He recruits returning war veteran Holt Farrier (Colin Farrell) to care for a baby elephant whose huge ears have earnt him the moniker Dumbo. But when Holt’s children Milly (Nico Parker) and Joe (Finley Hobbins) discover that Dumbo can fly, calculating entrepreneur Vandevere (Michael Keaton) targets the elephany as his latest attraction. After the critical success of The Jungle Book and Beauty and the Beast, Dumbo further solidifies Disney’s transition to live-action cinema and away from classic 2D animation. As it is a remake of the beloved 1941 film, it is hard not to draw comparisons between the two versions. Brushing aside the lack of talking animals and racist undertones, the live-action adaptation offers different plot elements that drastically change the ‘message’ behind Dumbo. In the animated version, Dumbo is an endearing character who is ostracised by his peers yet manages to triumph over his bullies. The remake sees him exploited to get rich quick by Vandervere, but he is surrounded by caring circus workers so this victory over adversity is missing. This modern, more conventional narrative about the importance of family lessens the impact and focus on his character development, as well as allows the live cast to take the limelight off the eponymous character. Although he is depicted as the male hero of the film, Farrell’s Holt doesn’t have enough screentime to become a standout character although DeVito and Keaton respectively offer solid performances, and Eva Green brings a touch of glamour as trapeze artist Colette. Particular praise has to go to Nico Parker, as her performance of the young, calm and science-favouring Milly is set to inspire younger audience members. Established for his more gothic films, director Tim Burton ambitiously takes on this project by trying to be faithful to the original film. Stunning animation and little nods to the 1941 animated feature will appease older fans and entertain younger ones, as well as complement Ehren Kruger’s uncomplicated dialogue. However, these creative elements aren’t enough to propel its eponymous hero into the limelight and the hearts of the audience. Overall, the addition of multiple characters means that it loses its focus along the way, so this sweet and beautifully animated adaptation ultimately falls flat. 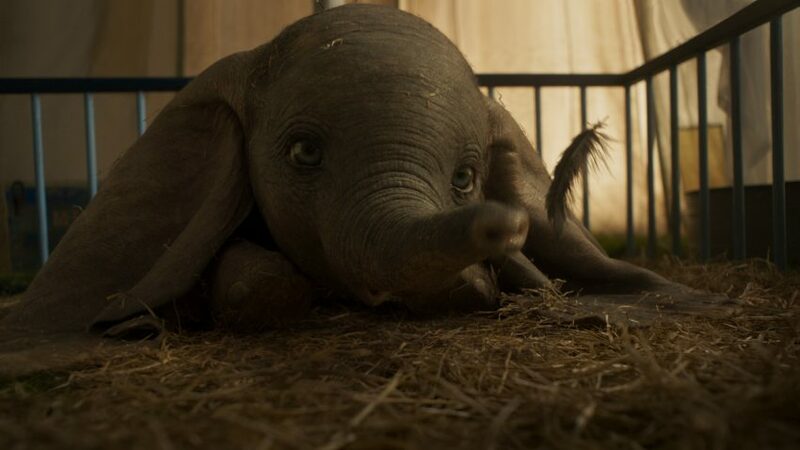 Dumbo is out in UK cinemas on 29 March 2019.